Whether you are just starting your business or want to boost sales, you don’t have to spend a lot of money to gain new customers. Below are just a few printed products that can help increase exposure and won’t break the bank. Colorful flyers grab a person’s attention, no matter where you hand them out. Make sure your business information is prominent, as well as any specials or deals you’re promoting. The best part about printed flyers, they can be handed out easily at local street fairs, carnivals, or other neighborhood events. While the content is essential, the design can be equally as important. Before you design your custom flyer and decide on adding some of your favorite colors to attract customers, take a look at our blog color speaks louder than words. Poster printing, similar to printing flyers, should highlight the most critical information about your business, concert or special event and the colors should grab someone’s attention quickly. To get more exposure, you can ask local establishments to trade advertising spaces. For example, if the owner hangs up your poster, you can offer to stack their business cards by your register. Networking is vital to gather interest in your business, especially if you are looking to expand in your local market. We offer short run posters for $1.00 each with no minimums. Every Door Direct Mail® is another cost-effective marketing tool that can help promote a company, product or service. It only takes a few seconds for someone to decide whether or not to read the message. Creating an excellent postcard design will help it stand out among other marketing mailers. A recent survey conducted by the USPS® found that 98% of people check their mail and approximately 77% of consumers sort through it immediately. EDDM® printing has been proven to be a successful form of marketing. EDDM® mailing is great for promoting a sale, a new product or a special event. To increase engagement, make the postcard a coupon that customers can bring into an establishment and get an additional percentage off purchases. Not only will this help increase sales, but customers are also more likely to hold on to it for future use. Make use you spend adequate time on the design and if you are not a designer or not sure where to start, don’t worry, our graphic designers will be happy to help. Learn more here. We now offer Full-Service EDDM®. Put your business in front of people that matter most without leaving your computer. Will full-service EDDM®, we handle the print, processing, and delivery to the post office. It’s super easy! Watch our EDDM® tutorial to learn more and if it’s right for you and your business. Custom door hangers are a great way to spread the word about a new business or an upcoming promotion. 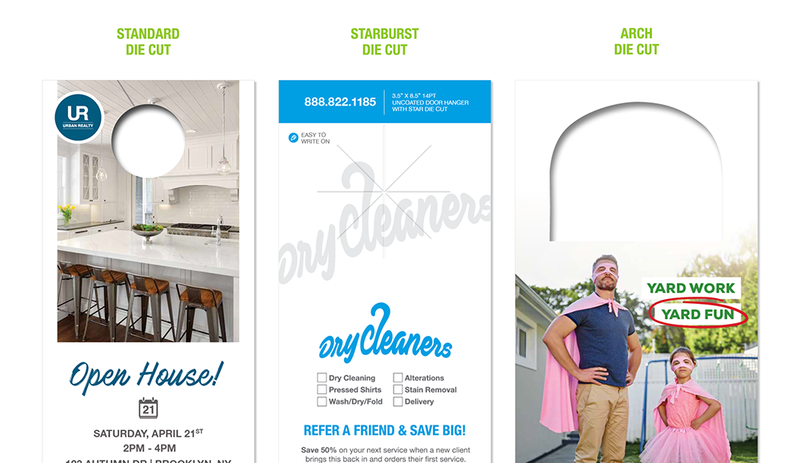 Similar to Every Door Direct Mail®, try to include a coupon, this can help entice new customers to view your products or services. Tip: Before printing your door hangers, make sure you understand the local laws to make sure you’re able to hang them from front doors or on car door handles. Custom magnet printing is a great marketing tool for any size business. From promoting sales to announcing new stores, magnets are perfect for promoting any brand or any business. A well-designed magnet can be placed on a refrigerator, where potential customers can view it all day, every day. Not only are they great for businesses, but they also work well for promoting a cause, event or school. We offer a variety of printing options to meet your needs. 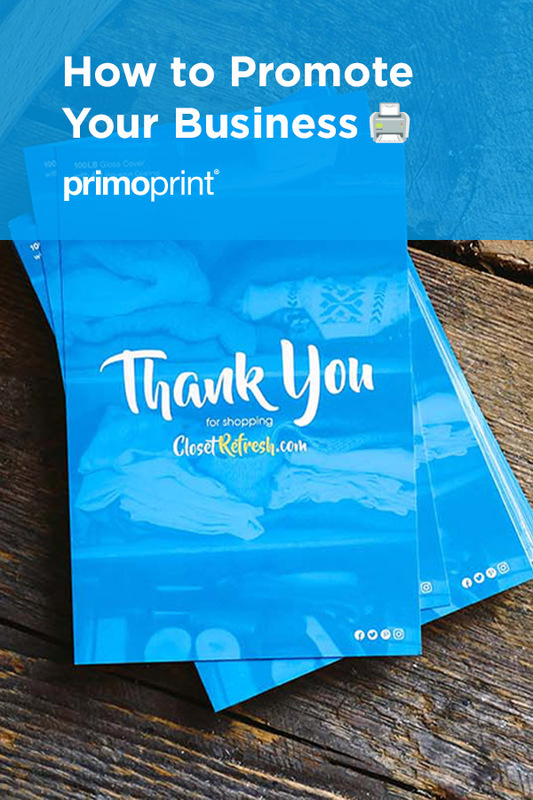 No matter what your marketing goals are, you can promote on a budget with Primoprint. Contact us today, and we’ll be happy to help you with your print products.